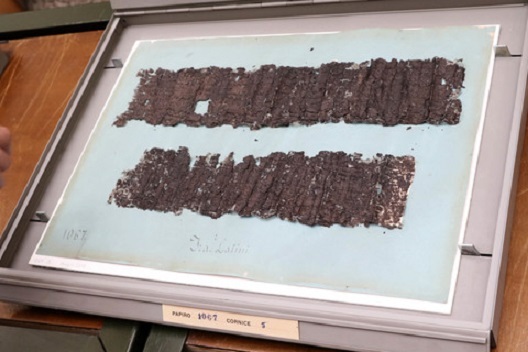 The papyrus fragments which are now attributed to Seneca the Elder had been kept for some time among the Herculaneum Papyri in the National Library of Naples. 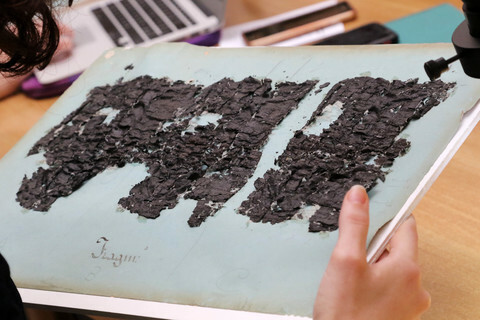 The fragments of the papyrus have survived because the fire that engulfed them during the eruption prevented them from deteriorating. The text belongs to "Historiae ab initio bellorum civilium" by Lucio Anneo Seneca, a work also known as "Oratio in Senatu habita ante principem". Lucius Annaeus, also known as the Orator, lived between 54 BC and 39 AD, was the father of the famous philosopher Seneca the Younger. 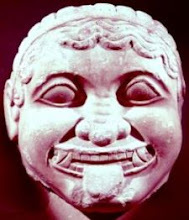 Originally from Corduba (Spain), he lived his entire life in Rome until his death in 39 AD. 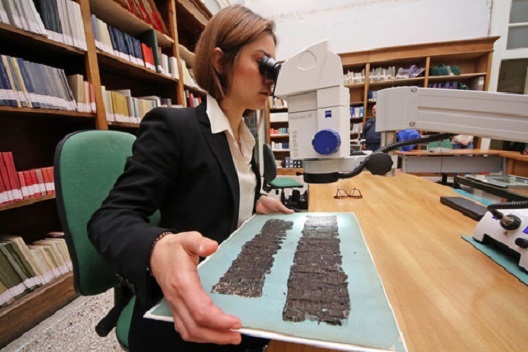 In the 1700s, 125 Latin papyri were recovered from the excavations of Herculaneum. The papyrus fragment PHerc 1067 was studied by the philologist Valeria Piano, who managed to identify the author of the text. Preliminary studies had indicated that this was a work of a high standard for the elegance of its writing and form. The first hypothesis, soon after discarded, saw Lucio Manlio Torquato (a politician belonging to Gens Manlia) as the author of the papyrus. The papyrus is made up of 16 fragments from the same 13-metre-long scroll, which deals with the historical and political subjects of the early years of the principates of Augustus and Tiberius (27 B.C. - 37 A.D.). It was to contain a political speech composed of Lucius Manlius Torquato and delivered in the Senate before the emperor (hence the initial error as to its authorship). 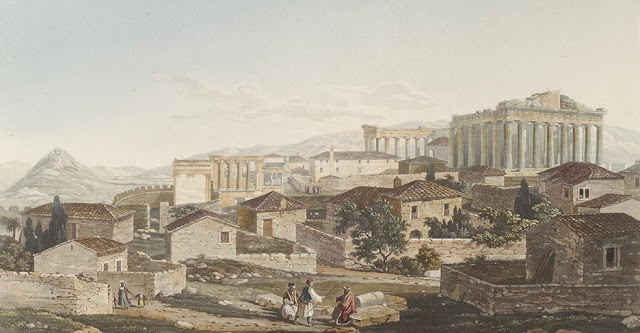 The meticulous study of the philologist was accompanied by the latest technology, in fact, thanks to the help of elaborate microscopes and multispectral images, it was possible to reconstruct the Roman text on computer. Papyrus PHerc 1067 bears witness to the only direct work by Seneca the Elder, eliminating the long held view that nothing was written by the father of the famous Latin philosopher.